Audition for Vocalpoint! Seattle’s Girls Prep Class! High school-age men enter Vocalpoint! Seattle as graduates of the Northwest Boychoir. High school-age women enter Vocalpoint! Seattle as graduates of our Girls Prep program. Auditions for the Girls Prep class are held every two years. Our next Girls Prep audition will be held on June 2, 2018 and is open to girls who will be in 7th-8th grades in Fall 2018. After the first round of auditions, some girls will be invited to a mandatory Call Back Audition on June 7 in the evening. 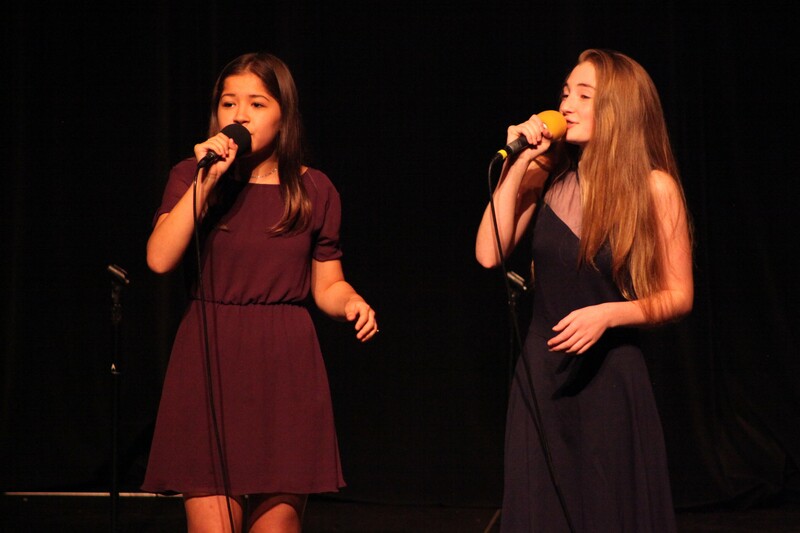 Over the course of the two-year program, members will learn basic music theory, sight-reading skills, technical aspects of voice production, and the practical aspects of live performance to prepare for entry to Vocalpoint! Seattle. In addition to becoming highly skilled musicians, members develop a strong sense of commitment, discipline and teamwork. Financial aid is available to any student who meets our audition requirements. Please read our Girls Prep Brochure for more information. Feel free to contact our office for any questions, or fill out the form below and we will get back to you soon.